Justin Dunn does not have any MLB stats for the season. Justin Warren Dunn…graduated from The Gunnery (CT)…selected by Los Angeles-NL in the 37th round of the 2013 Draft but did not sign…played 3 seasons at Boston College, where he was third-team All-America (Baseball America) following his junior season…selected by the Mets with the 19th overall pick in the 2016 Draft. Named the Mets Sterling Organizational Pitcher of the Year…after the season, ranked as the club's 4th-best (MLB.com) and 5th-best prospect (Baseball America)…split the season with High-A St. Lucie and Double-A Binghamton, going 8-8, 3.59 (54 ER, 135.1 IP) with 156 strikeouts and 52 walks in 24 starts…promoted to Binghamton on June 10. In 20 games (16 starts) with High-A St. Lucie, struck out 75 in 95.1 innings. Made pro debut with Short-Season-A Brooklyn, where he posted a 1.50 ERA (5 ER, 30.0 IP). 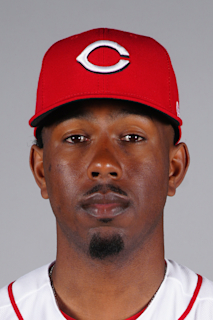 December 3, 2018 RHP Justin Dunn assigned to Arkansas Travelers. June 10, 2018 RHP Justin Dunn assigned to Binghamton Rumble Ponies from St. Lucie Mets. May 14, 2018 St. Lucie Mets activated RHP Justin Dunn from the 7-day disabled list. May 4, 2018 St. Lucie Mets placed RHP Justin Dunn on the 7-day disabled list retroactive to May 2, 2018. September 27, 2017 St. Lucie Mets activated RHP Justin Dunn from the 7-day disabled list. August 17, 2017 St. Lucie Mets placed RHP Justin Dunn on the 7-day disabled list. April 5, 2017 RHP Justin Dunn assigned to St. Lucie Mets from Brooklyn Cyclones. June 21, 2016 New York Mets signed RHP Justin Dunn. June 21, 2016 RHP Justin Dunn assigned to Brooklyn Cyclones.